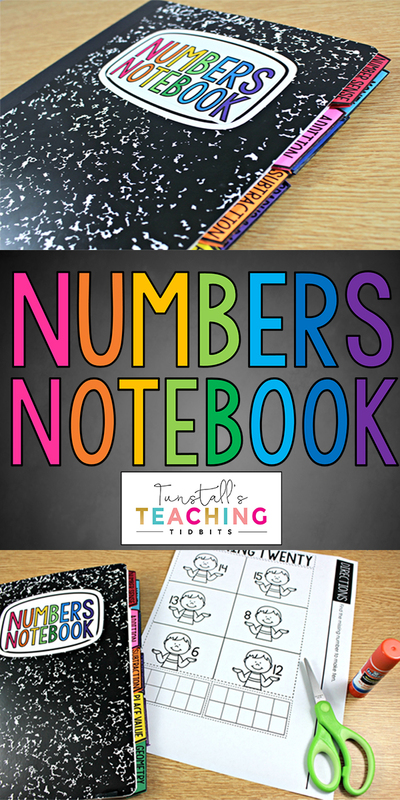 There are many ways to incorporate a Numbers Notebook into your instruction, but I can share the way that I have used this tool in my own classroom. 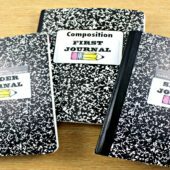 I begin by setting up the notebook with the student name and the label. 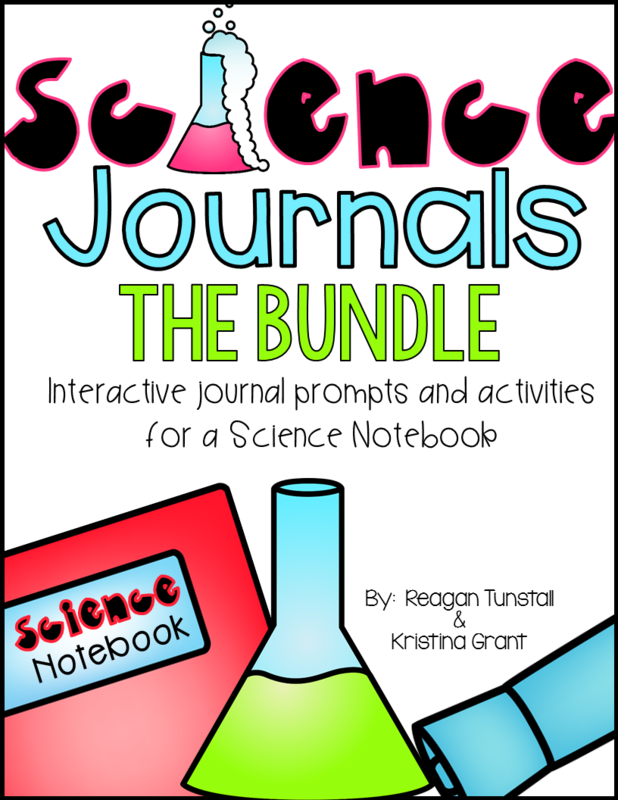 The color-coded tabs are optional for organization but I would staple those in for students before distributing the journals if you plan to use them. 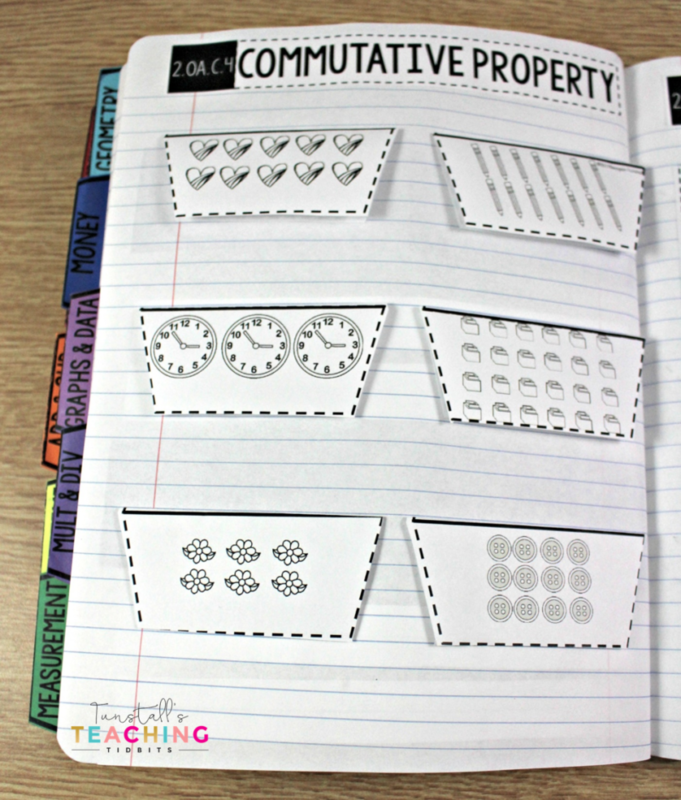 Glue isn’t enough for the tabs because of the daily wear and tear. 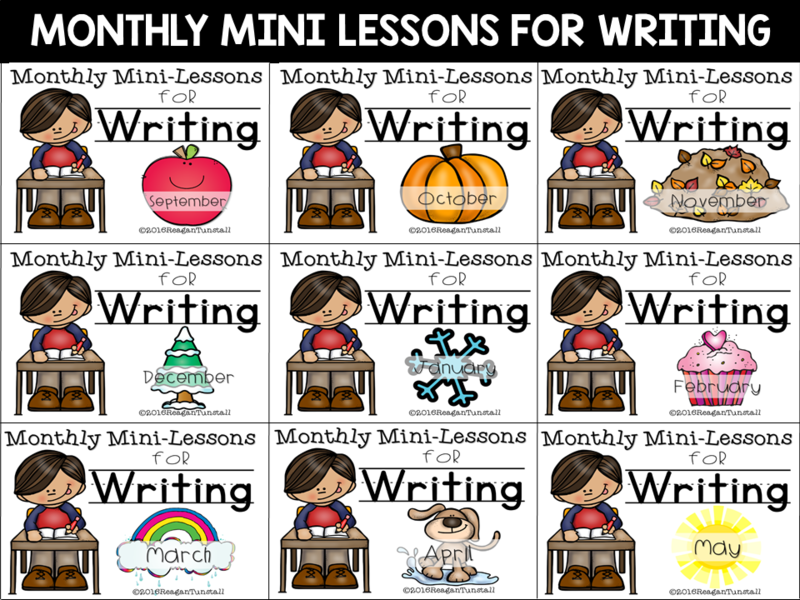 I introduce and teach the expectations and the first few entries in whole group format with students. 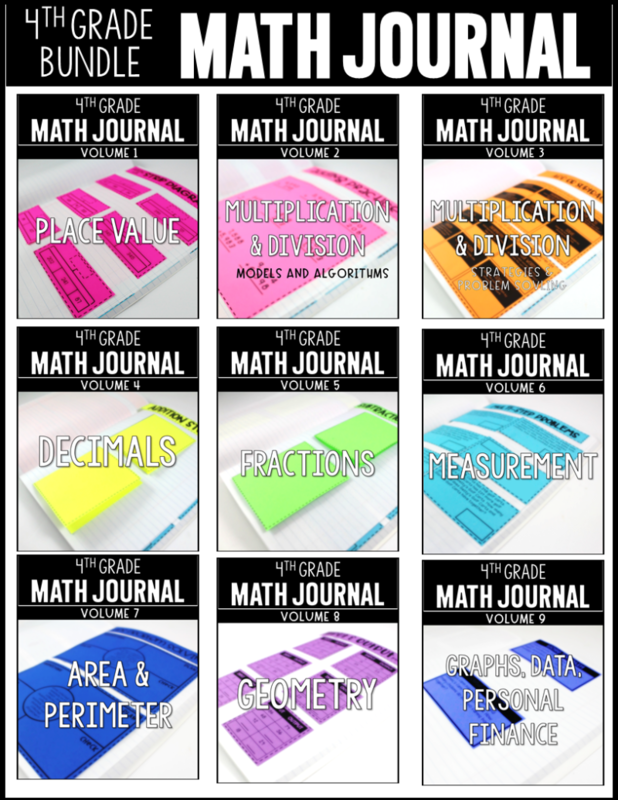 How you use math journals will depend on your purposes, preferences, and the particular age and needs of your students. 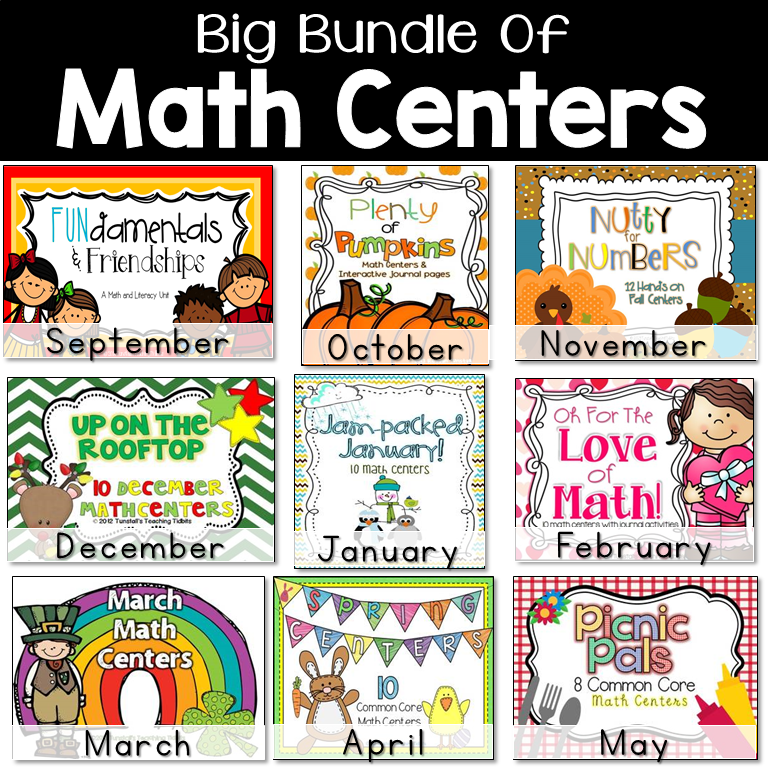 I found it fit best as a math rotation. 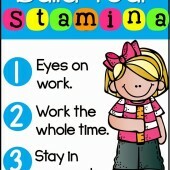 Before I could implement this into our daily routine, I had to teach all of the expectations. 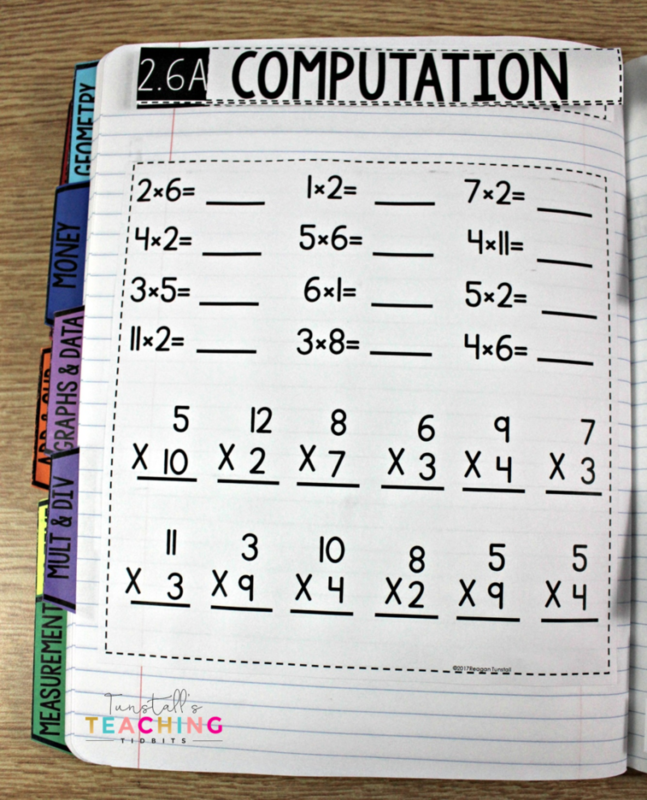 When I begin instruction for math-journaling, I create an example journal to keep out for students so they can see the formatting of the page. 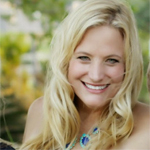 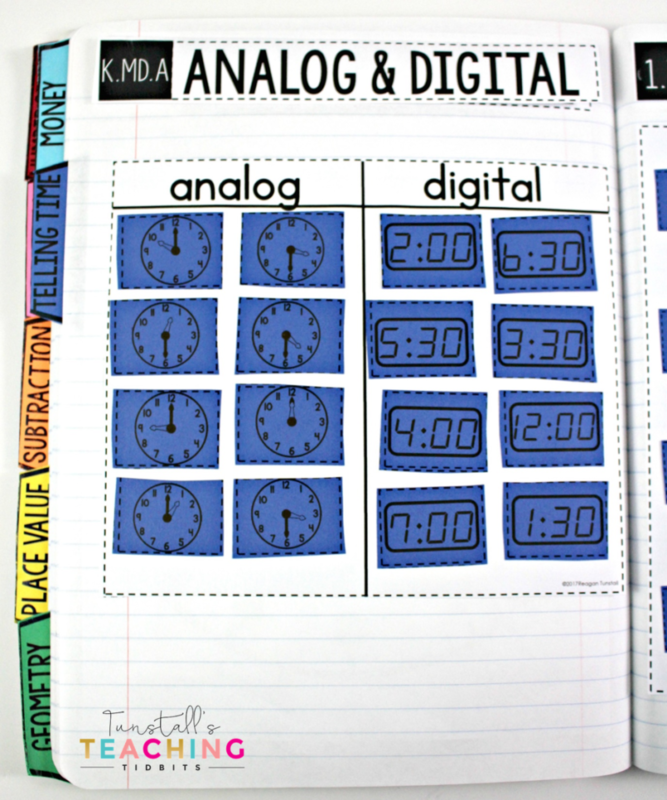 Spacial planning is half the battle with the younger grades! 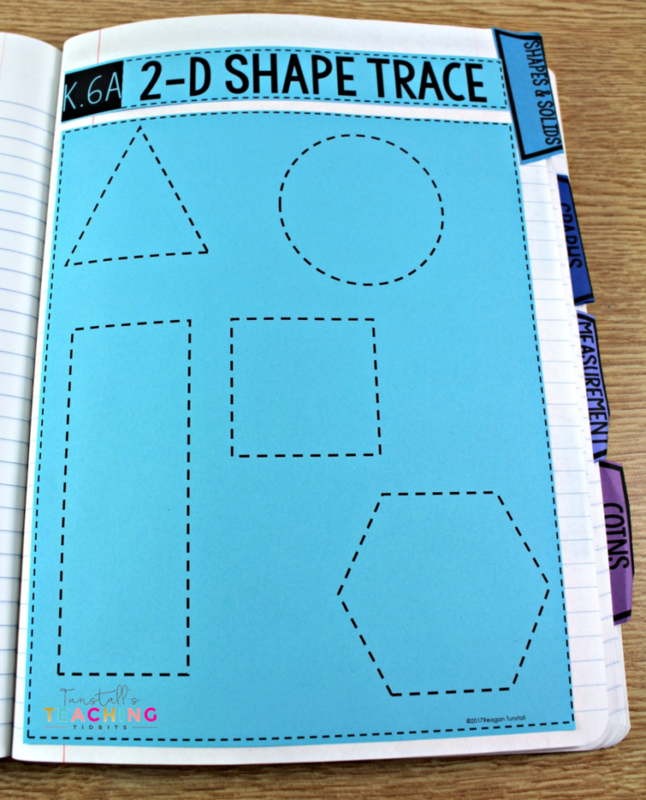 To model the process we do the journal together talking about cutting on dotted lines and folding on solid lines. 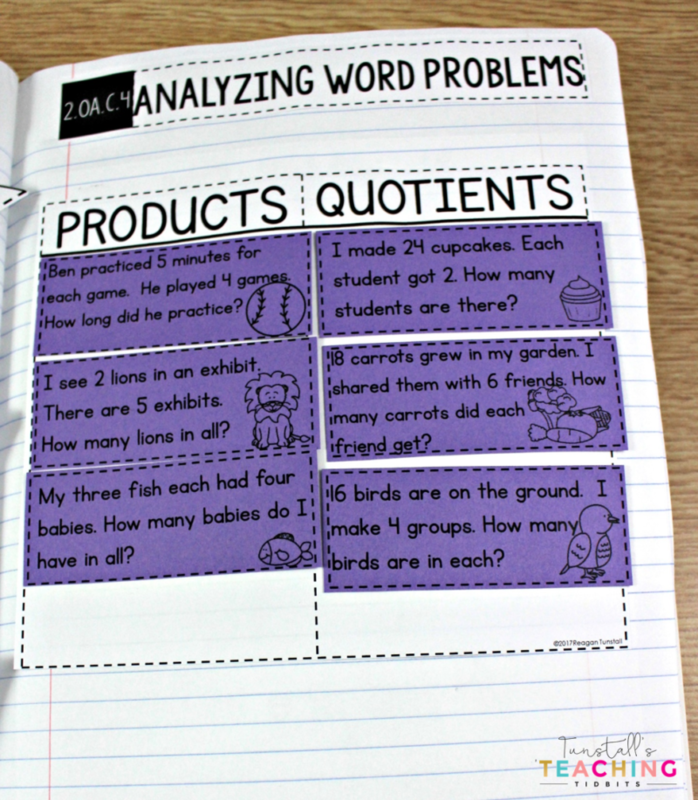 My ultimate goal is to have the journal become a math rotation each day where students apply their learning on their own. 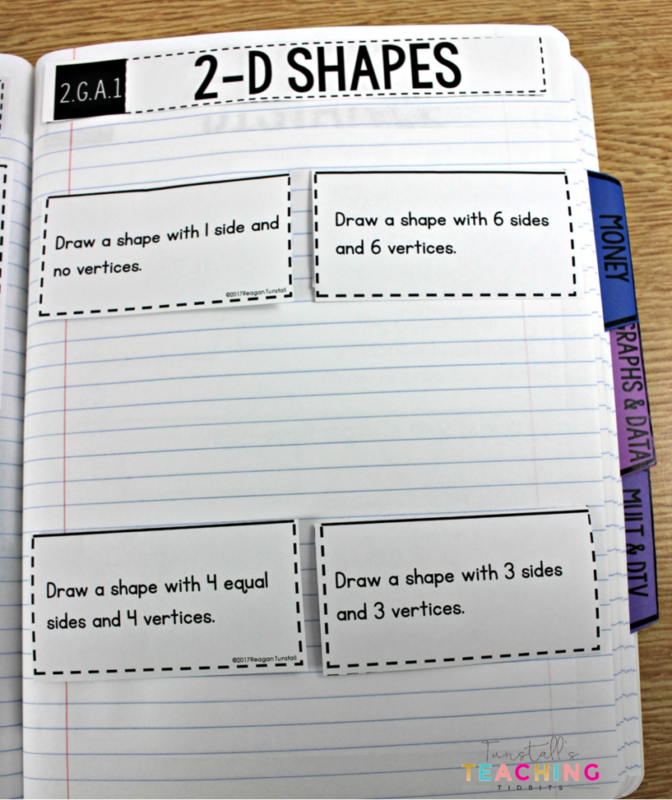 Below is an example activity from the first grade addition volume. 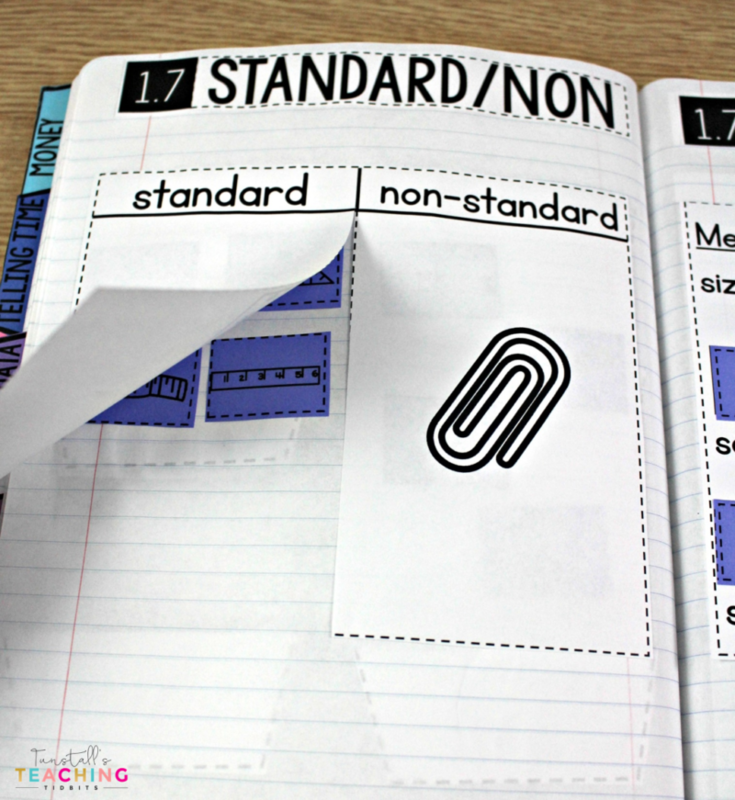 I would give students the page and explain the formatting by showing them an example page already cut and in my example journal. 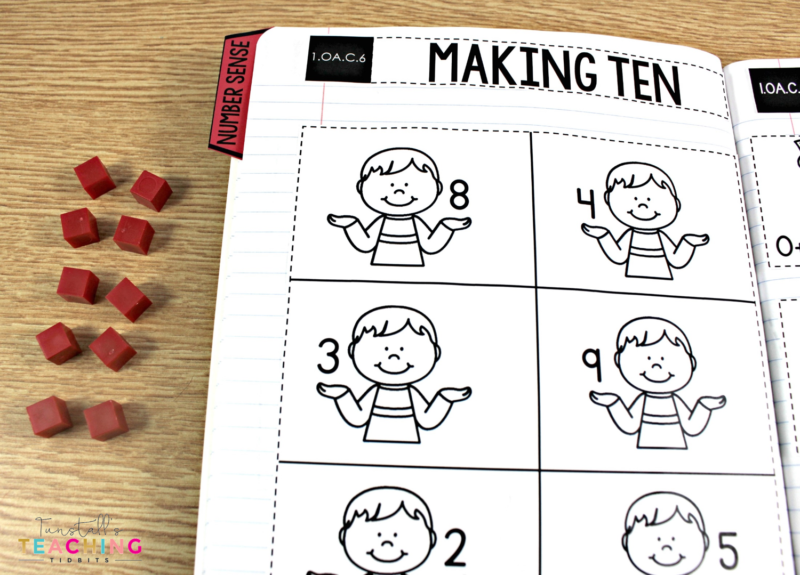 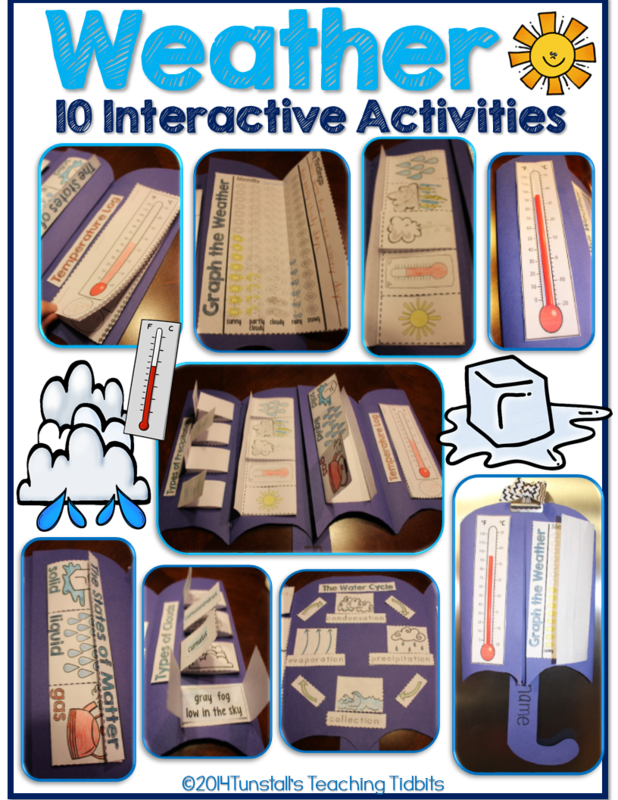 Here is the making ten version of the same activity above. 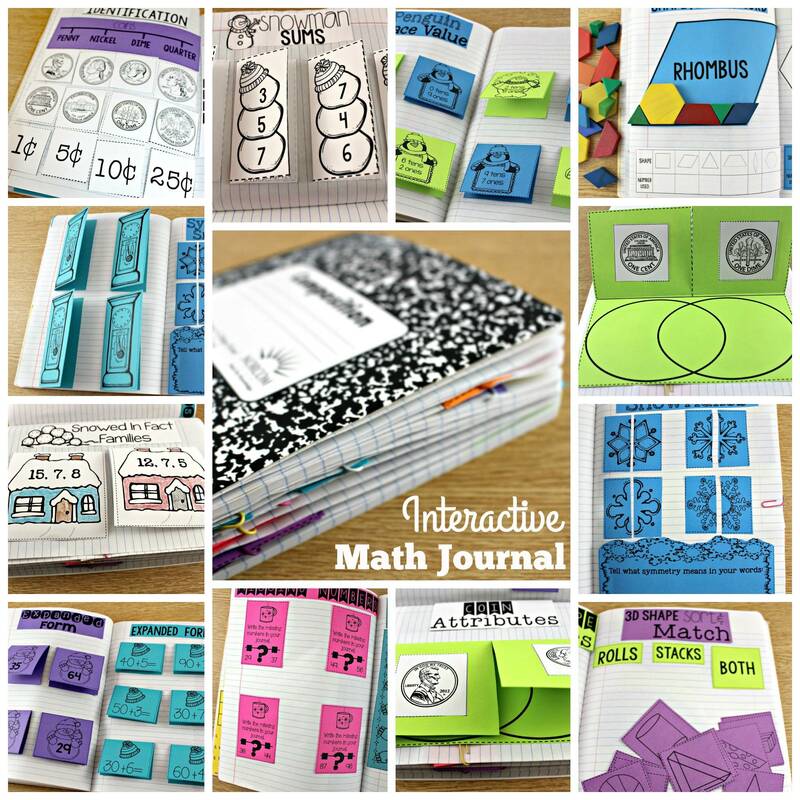 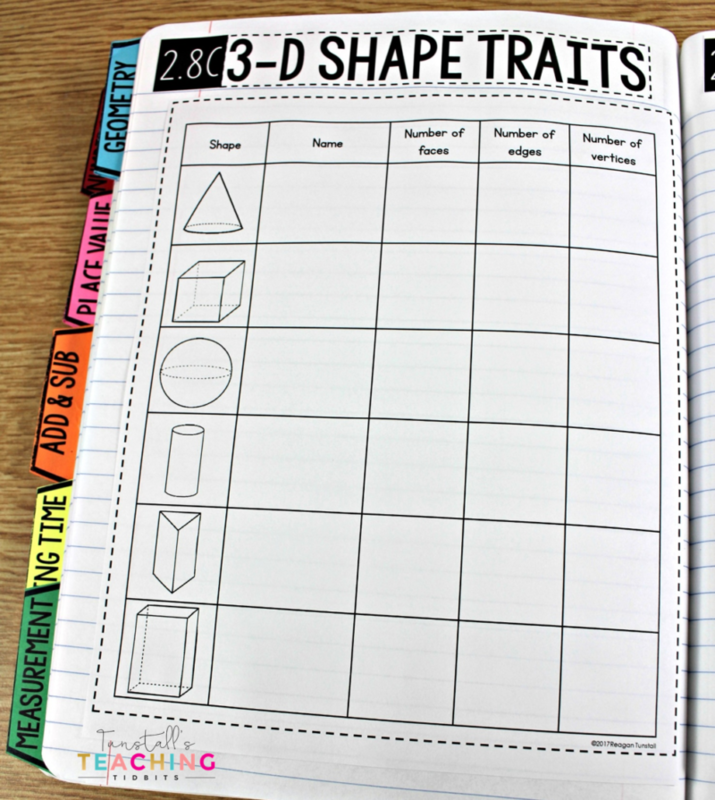 Students are encouraged to use strategies such as manipulatives, ten frames, number lines, and charts to work through their math journals. 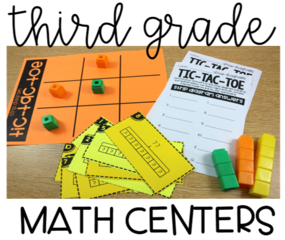 The activities allow students to express their mathematical work through numbers, graphs, drawings, symbols, and written words. 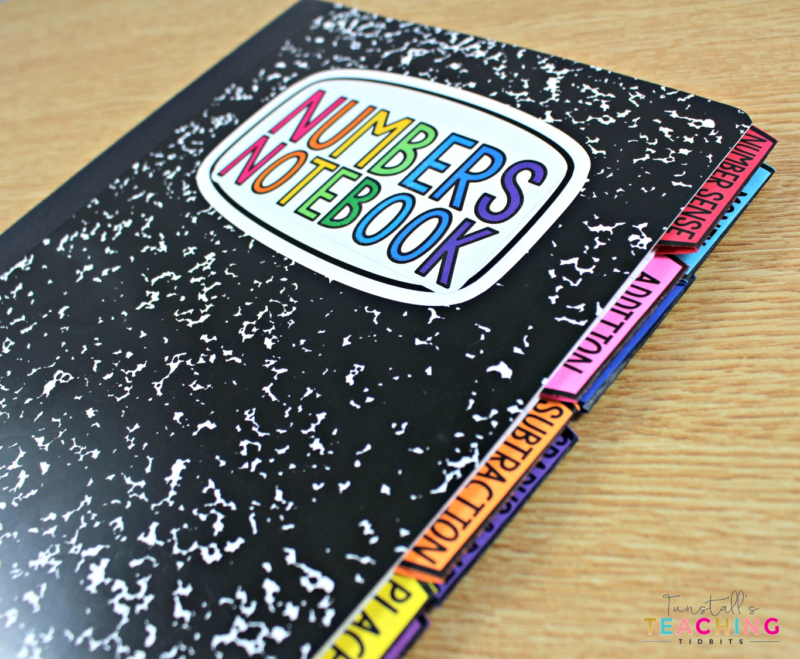 The numbers notebooks are designed to focus on one math strand at a time. 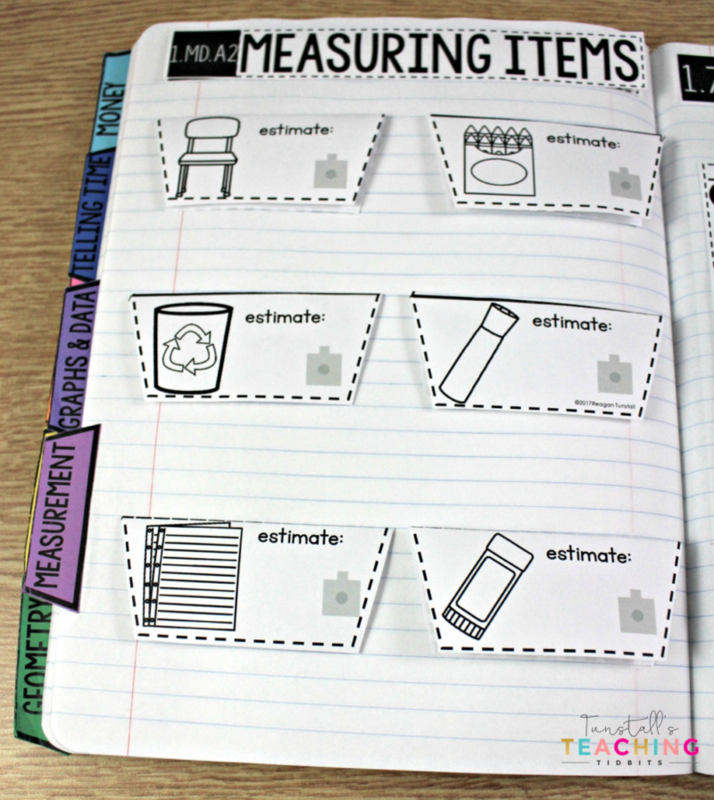 Below are examples from kindergarten focusing on measurement and time. 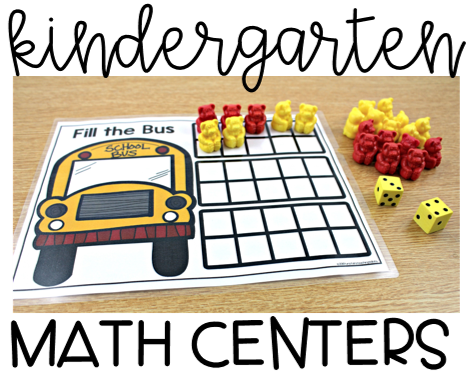 In the picture below, students glue the example activities for morning and night beneath the flaps. 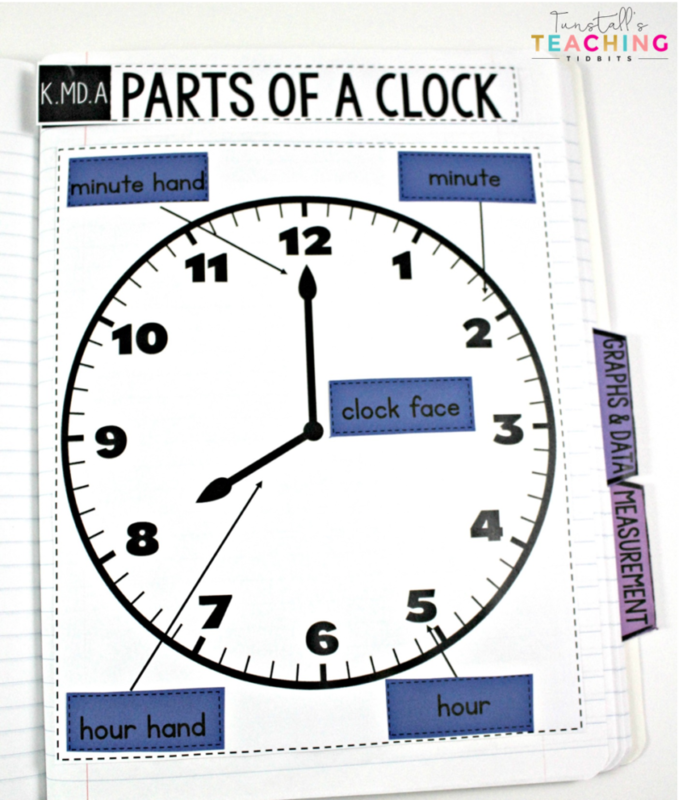 As an extension students can make a sentence or draw another activity for morning or night. 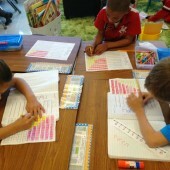 Each grade level has the standard in the corner grades K-2. 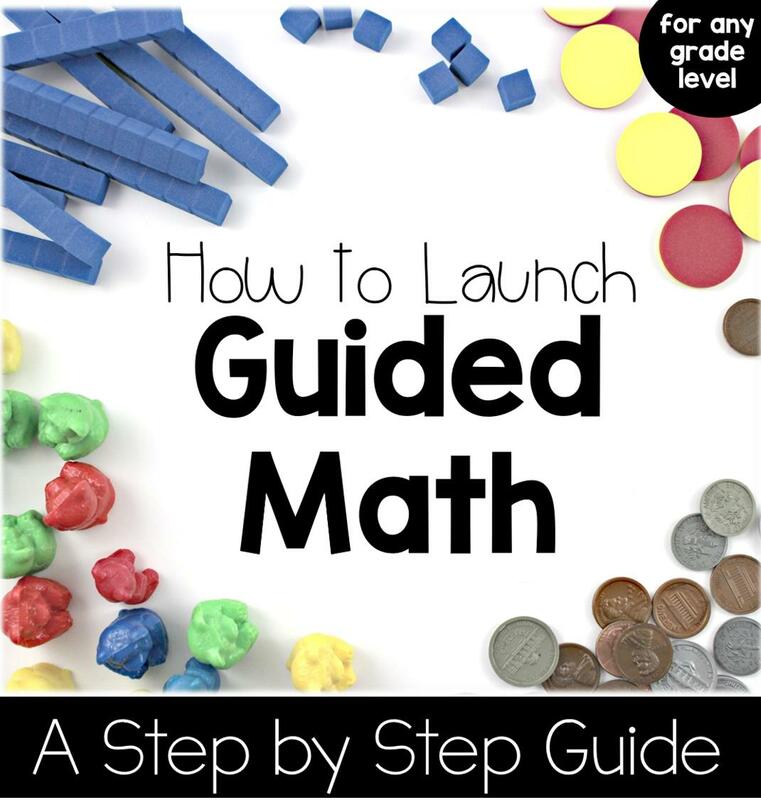 In all the lessons we teach, there is always the pursuit of engaged learners. 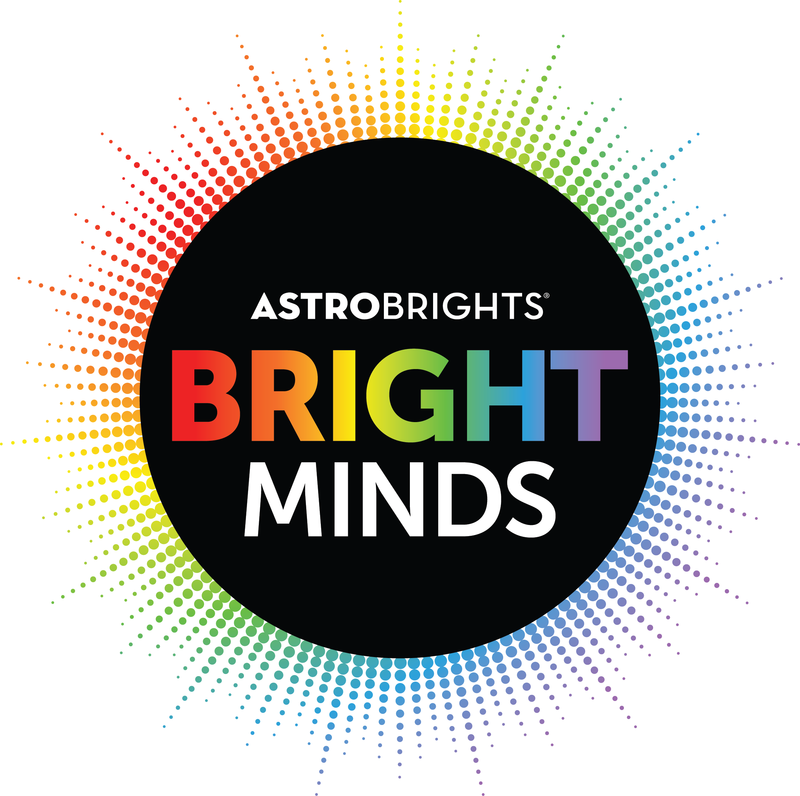 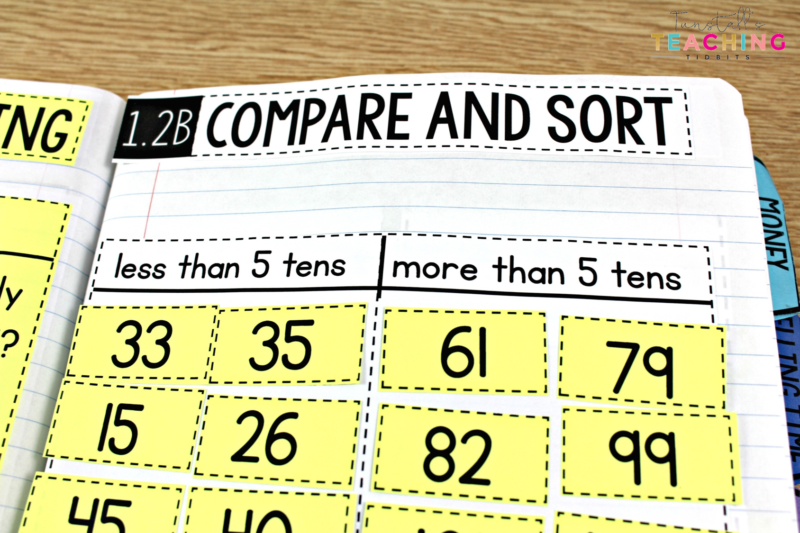 Although students need similar routine and structure for success, they also need variety. 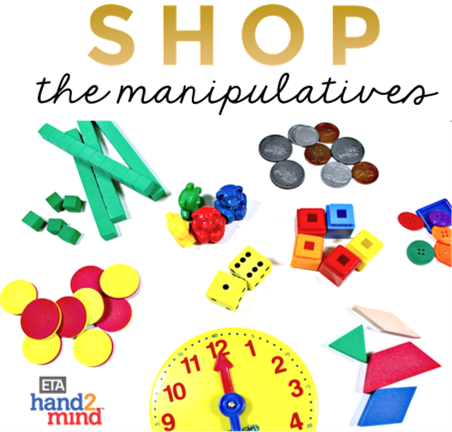 Allowing students to apply the concept in many different ways keeps engagement up while at the same time, building a strong foundation of understanding. 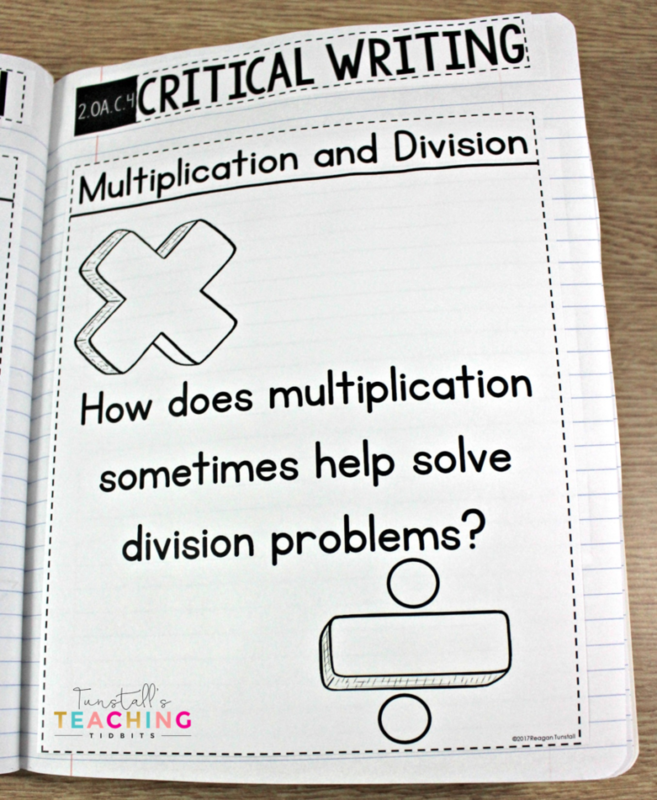 Below are some activities from second grade multiplication and division. 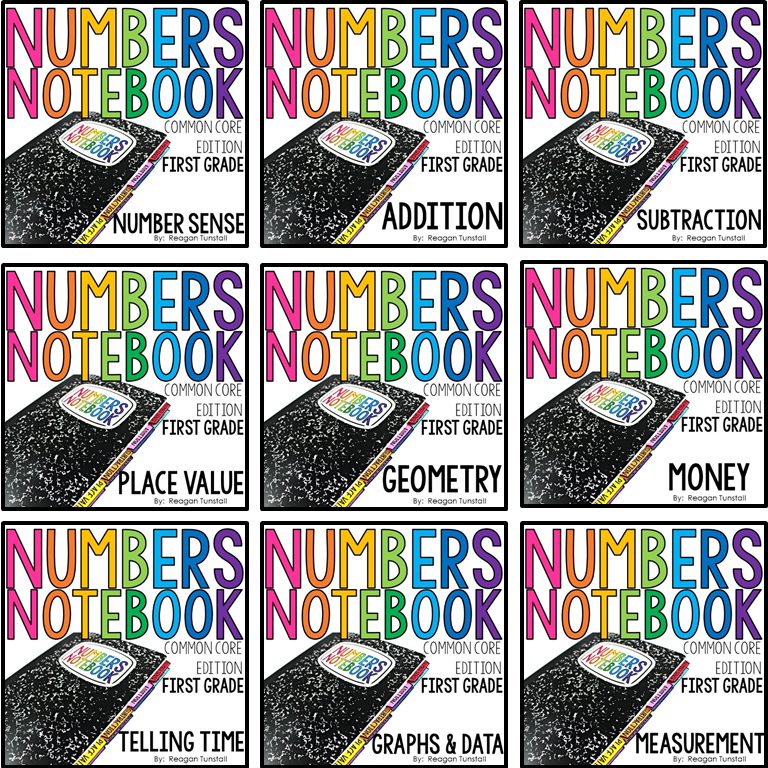 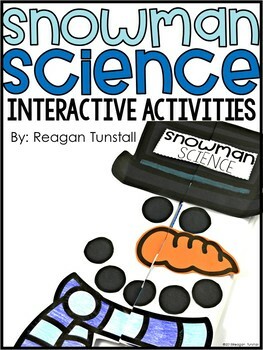 The numbers notebook sets each provide 25 activities centered around a math strand. 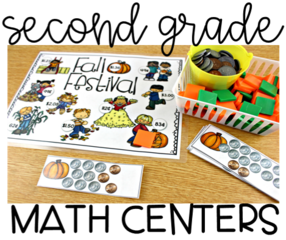 For example, the 25 activities in the measurement set address the measurement standards for first grade. 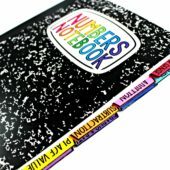 The numbers notebook sets are available both in Common Core sets and Texas Teks sets as well as yearly bundles. 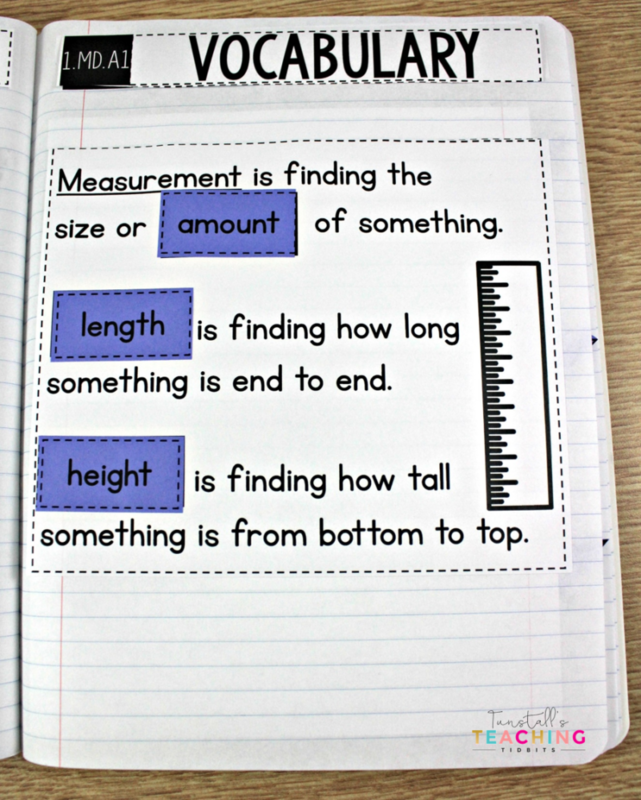 Below you can see examples of first grade place value notebook activities. 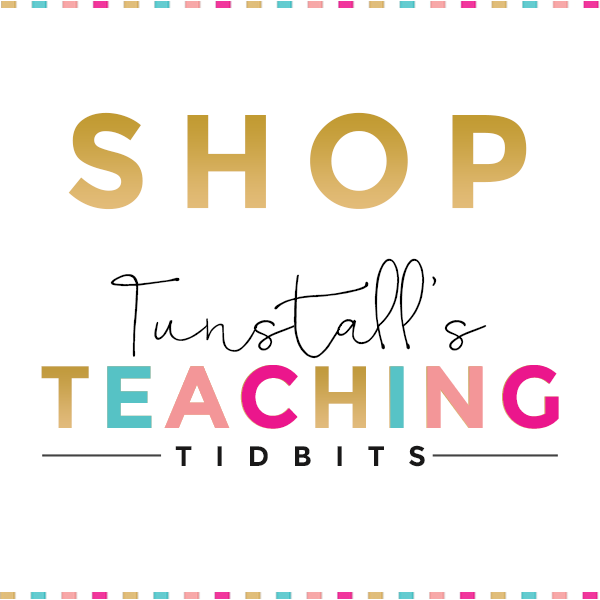 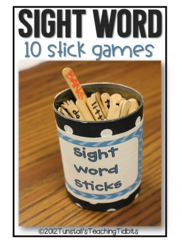 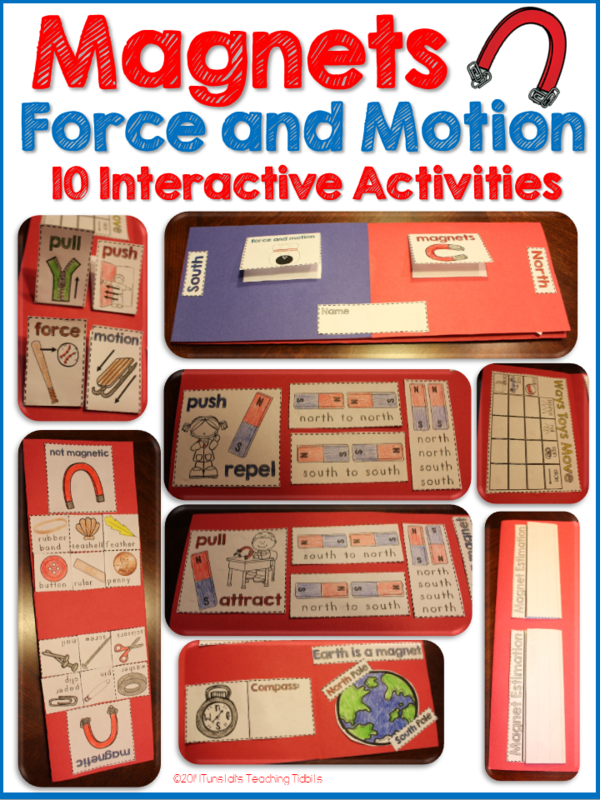 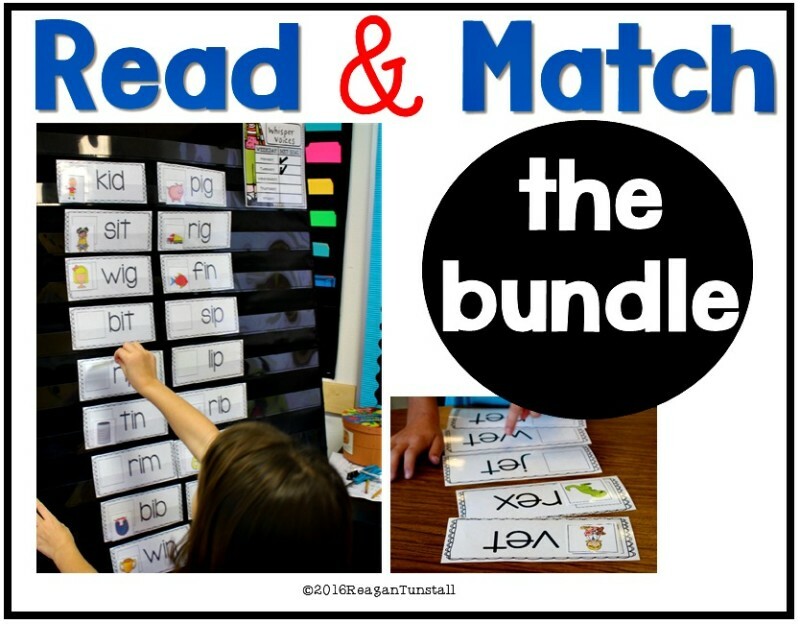 You’ll see how the activities keep a similar format from set to set which helps with student independence while the activities change in order to keep interest high and learning well-rounded. 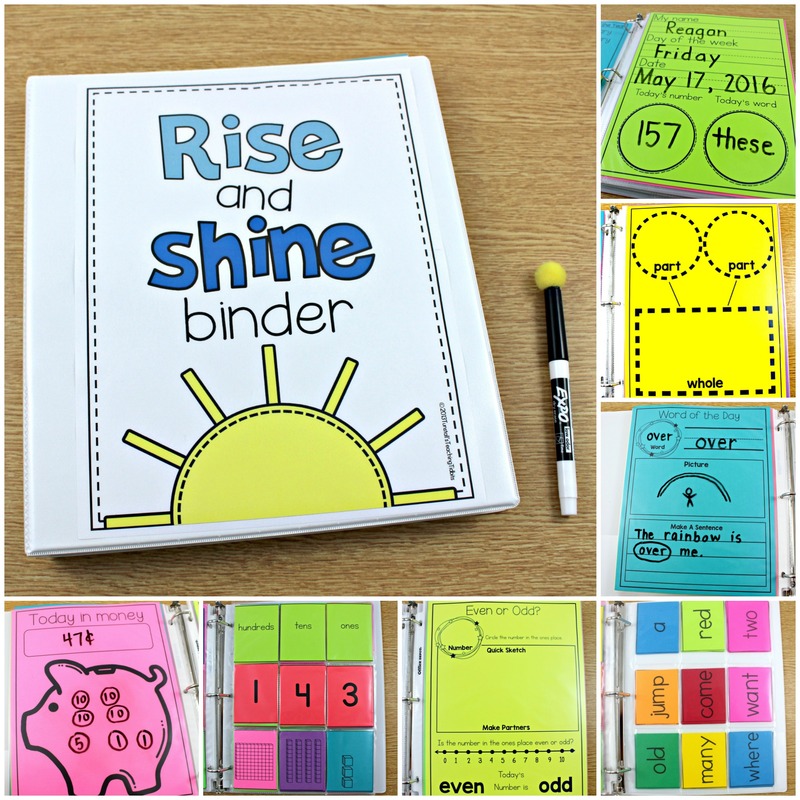 Below, students respond under the flap which is only glued along the top. 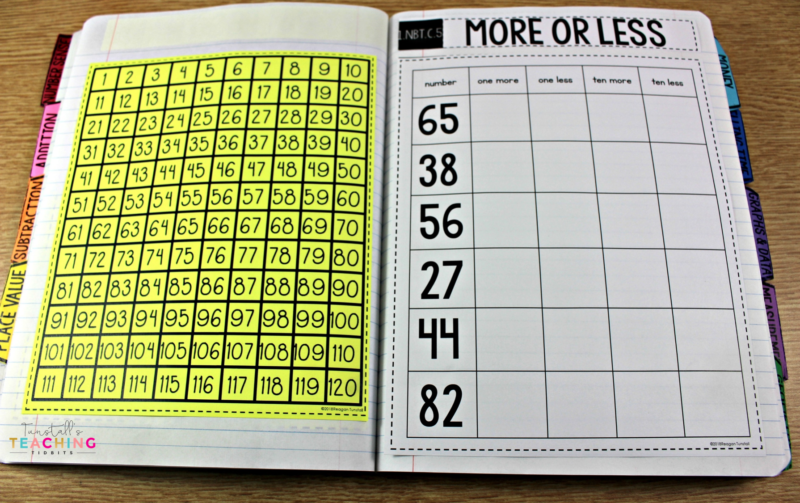 Below, students use a 120 chart to fill in the more or less grid. 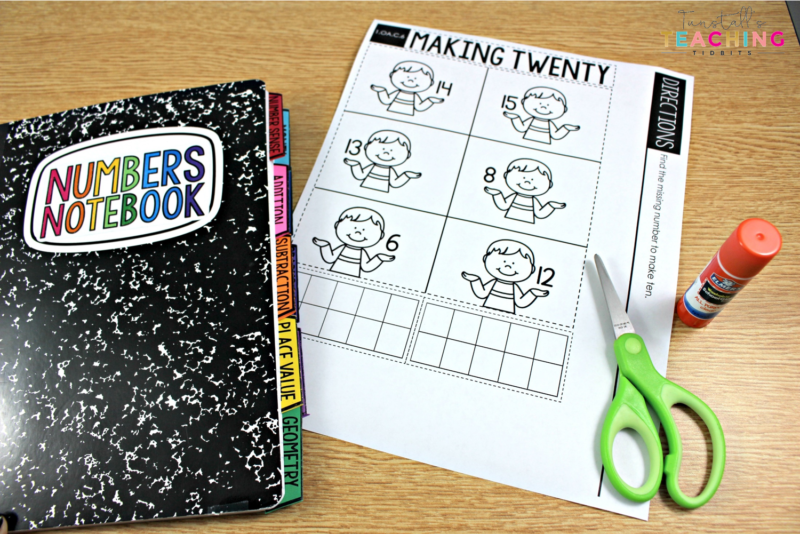 As students move from kindergarten through second grade, the numbers notebooks activities grow to reflect each grade level’s standards. 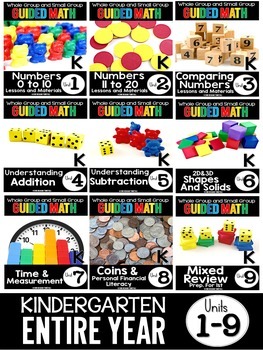 Below we start with a kindergarten example for geometry. 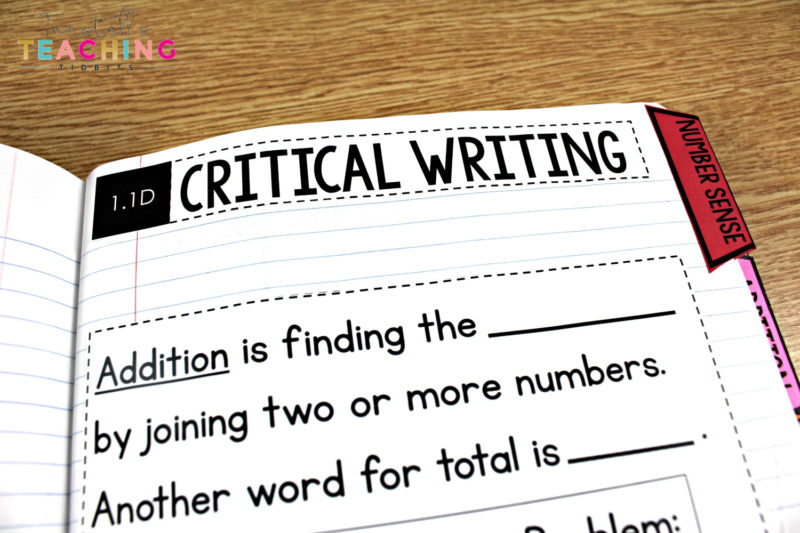 In second grade below students progress to higher level activities and less scaffolding. 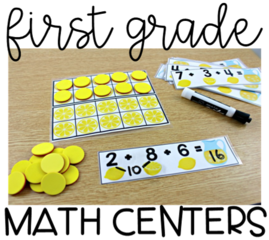 For any of the numbers notebook activities, we want students to have manipulatives and pictorial representations of what they are working on. 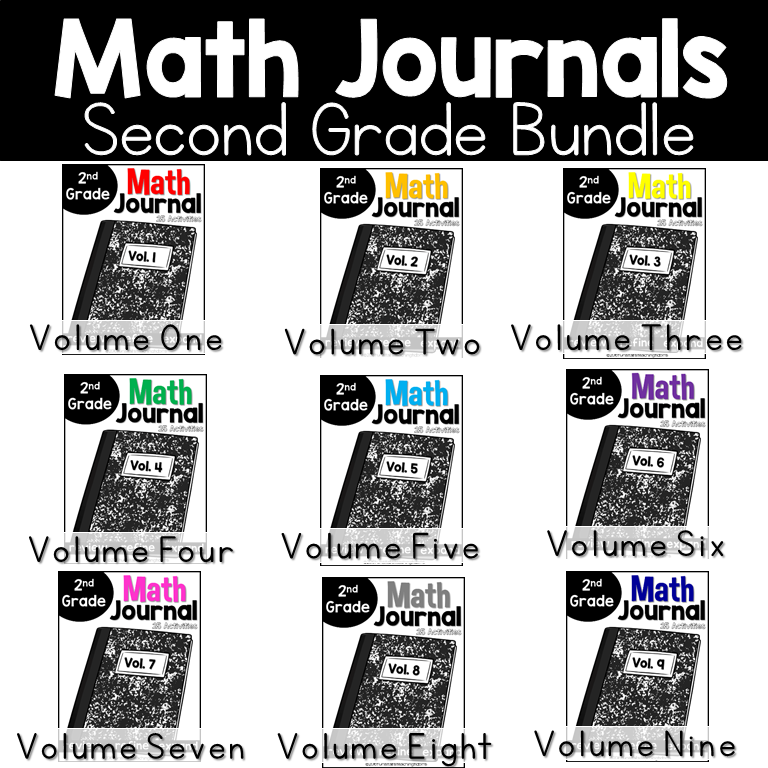 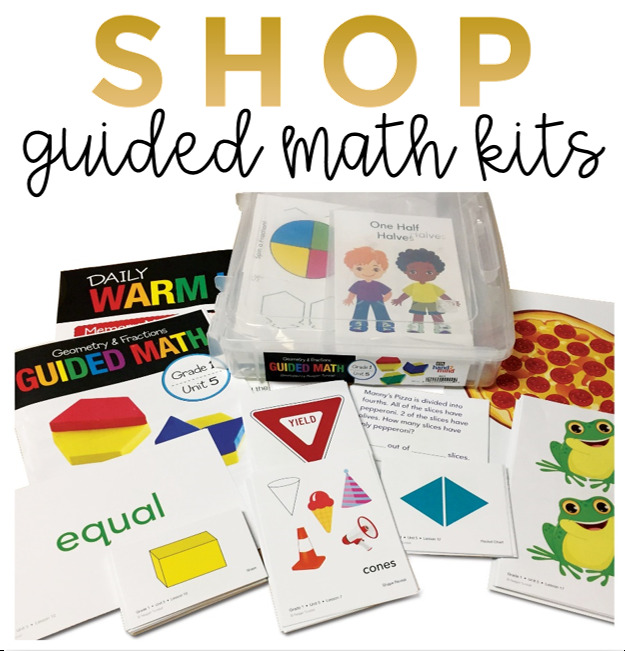 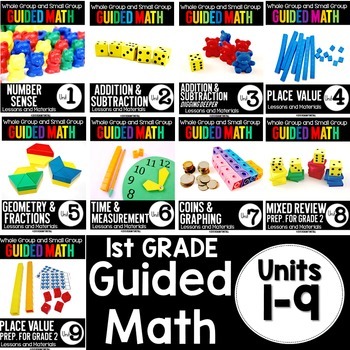 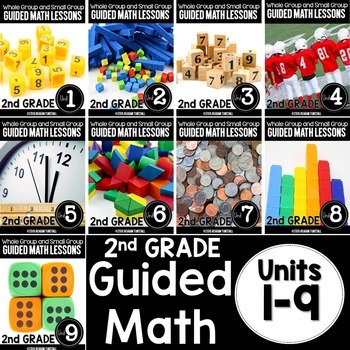 If you are interested in trying numbers notebooks in your classroom, you can decide if this is something you want to do one set at a time, or if you would like to bundle up and get all 9 math strands in the bundles! 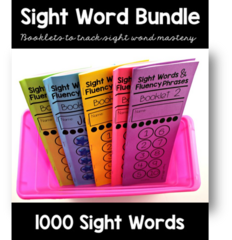 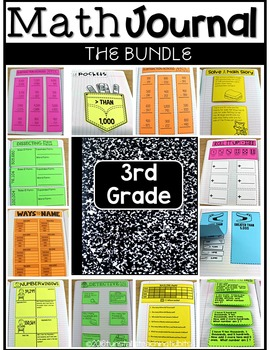 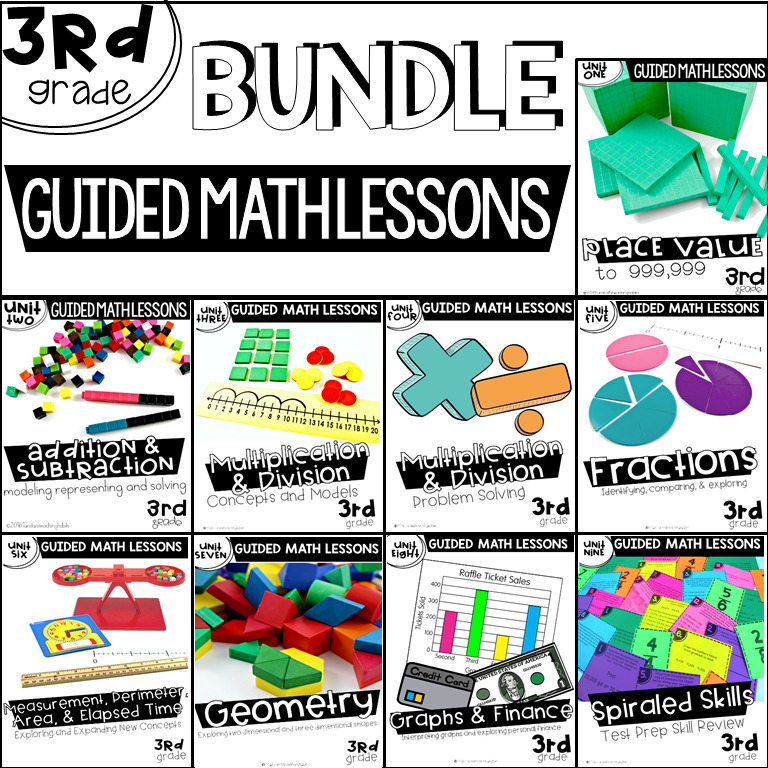 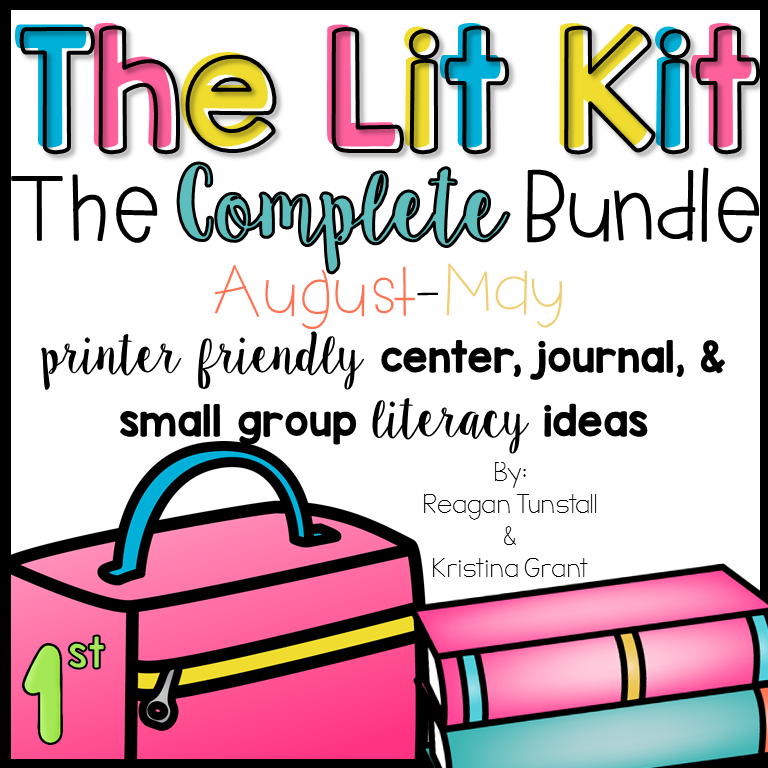 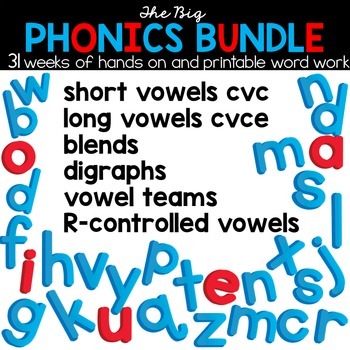 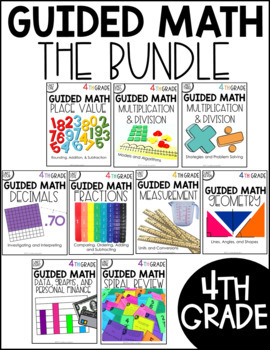 Below I have linked the year bundles of each grade level and version.